An efficient contract management system will not help your healthcare organization realize cost savings if the managed care contracts put into it are not well-negotiated so that they benefit both you and the vendor. 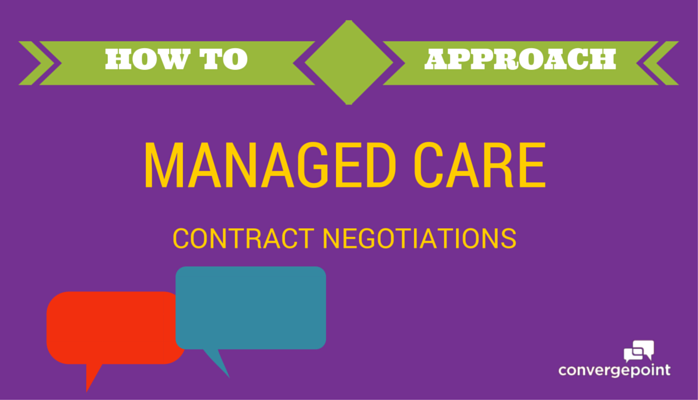 Poorly negotiated managed care contracts will add up — costing you thousands of dollars and wasting time and resources as it becomes cumbersome to manage each contract’s unique policies, procedures, terms and demands. How should you approach negotiating contracts, and what should you look for when starting contract negotiations? Determine what kind of partnership you hope to build. Will the agreement be for one year, three years or a longer commitment? Your demands and expectations will differ depending on the length of the contract. Whether the contract is for six months or six years, though, partner with companies whose values mirror yours, and treat them with the goal of building a positive, long-term working relationship. Know your current strengths and challenges. Also acknowledge the payer’s core capabilities and strengths so that the relationship is mutually beneficial. Ensure the relationship with the payer draws on your strengths, fills in the missing gaps in your organization’s processes, and addresses your current needs. Establish expectations. Know what you need, what you want and what you expect from the payer. Create attainable goals and benchmarks. Set the tone for the relationship, and discuss not just price, but also type of customer service you want to receive. Evaluate potential benefits, not just price. Yes, the rate is important, but other factors to take into consideration include: quality of service, the amount of time and resources the company has to devote to your organization, response time and flexibility. Also consider how much effort and current resources you will have to devote to working with the payer to implement and manage the project. Don’t feel rushed, bullied or forced to “sign now and iron out kinks later.” Read all of the contract terms, and don’t be afraid to ask questions or for clarification. The payer’s willingness and openness when negotiating (or, how the vendor handles the negotiation process) often hints at how the relationship will proceed — how well it meets contractual obligations and handles potential issues that arise once the contract is executed. Discuss how the contract and services provided will evolve as compliance requirements and other regulations change. Does the payer keep up with the latest healthcare regulations and industry best practices, and value staying on top of compliance issues as much as you do? Partner with a company that is forward-thinking and can help keep your organization compliant. As you’re working through this list, don’t forget that your potential partner is probably evaluating your organization with a similar process and checklist. Next step: See how a contract management system can better manage your contract processes to keep vendors happy. Check out our White Paper: Achieving Efficient Contract Lifecycle Management.